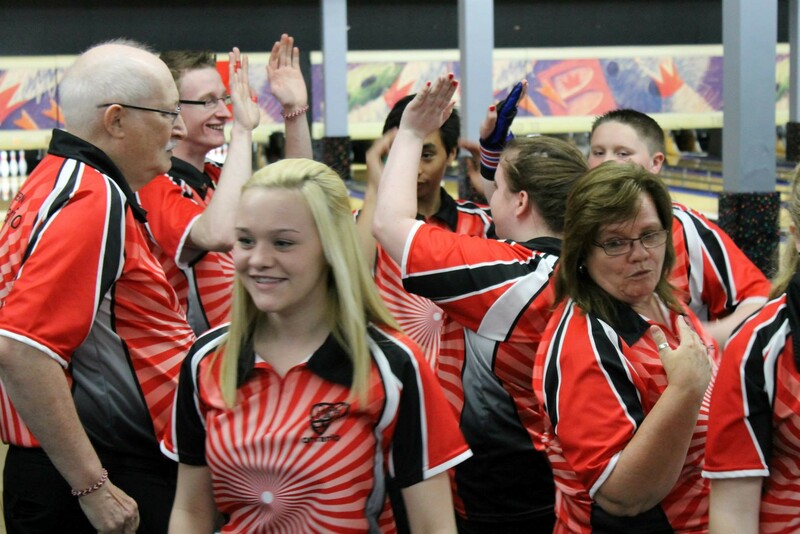 8 REASONS to CONGRATULATE Southern Ontario’s 10 Pin YOUTH Team! High fives and smiles all around for the Southern Ontario Team as they met with much success at this year’s YBC Nationals tournament in Toronto from May 2 – 4th, 2015. This tournament brings the top 6 YBC bowlers from 8 provinces together to compete in the Boys Teams Event, Girls Teams Event, and Singles Events in Divisions of Bantam, Junior and Senior. It took some stamina to bowl 21 games in 3 days and they sure showed they had it! Southern Ontario Boys Team, Cole Sitzes, Joshua Bautista and Ryan Locker win GOLD! Southern Ontario Girls Team, Sydney Fargnoli, Sarah Klassen and Mykaela Mitchell win GOLD! Bantam Boy, Cole Sitzes (from London) wins GOLD in Singles! Junior Boy, Josh Bautista (from Brampton) wins GOLD in Singles! Bantam Girl, Sydney Fargnoli (from London) wins SILVER in Singles! Junior Girl, Sarah Klassen (from St. Catharines) wins SILVER in Singles! Senior Girl, Mykaela Mitchell (from London) wins BRONZE in Singles! Senior Girl, Mykaela Mitchell (from London) wins CARL MALCOLMSON $1000 SCHOLARSHIP AWARD for Tournament High Average!